Storm-affected old pole line stuff surviving from the days when Boston Edison (now Eversource) provided electric service to this and many other Boston-area communities. Lots of 4kv lines still exist and they many are outfitted with glass insulators. These mostly are common CD 164s, 165.1s and 167s and often are transferred to new poles to this day! Box-type fuse cutouts (as you can see here) and other earlier distribution architecture are a frequent sight in former Boston Edison territory, too. This photo is an example of the three (so far!) 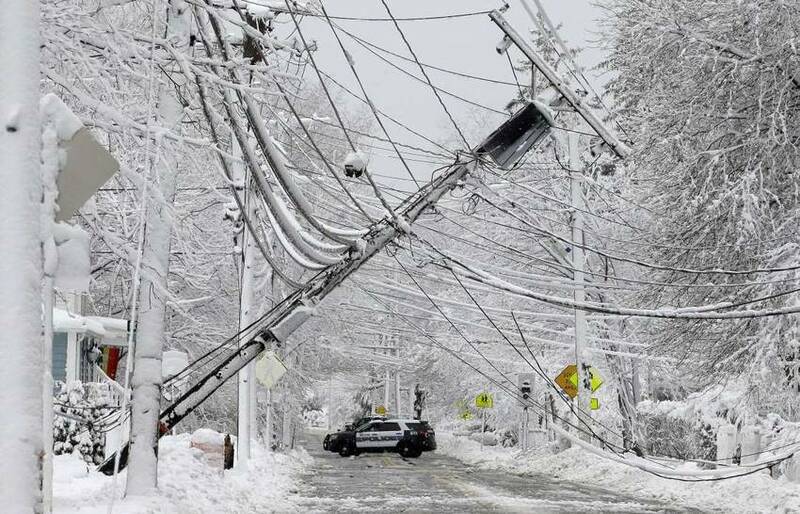 severe winter storms that have hit here in the northeast during the past two weeks.